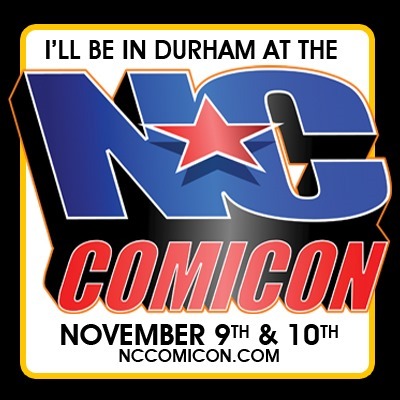 We’re just a couple weekends away from North Carolina Comicon, and I’m thrilled to announce I will be attending and signing books! I’ll have plenty of copies of Sidekick for those of you who haven’t gotten your copy yet, as well as a slew of my other stuff. I’ll be happy to chat, answer questions, pose for pictures, and so on. As a special treat for readers of the blog, the first several (depending upon how many copies I can burn before then) people who tell me “Bobby sent me” will be surreptitiously slipped a copy of the Sidekick Soundtrack. And if you’re really nice, I might let you read the first couple chapters from Crush Story. I’m not going to be the easiest person to find at Comicon; I’m stuck way in the very back of the very back of the venue. 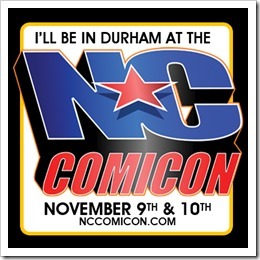 I will be in Hall “A,” the smaller of the two exhibition halls, at table A4 as indicated in the picture to your right. I will try to make it worth the trip. Promise. As for signings, here’s my basic policy. If I wrote it (or part of it, if the paperback edition of Very Superstitious is available in time), I will sign it. You do not have to have bought it from me. You do not need to buy it at the table. I will sign it. If I did not write it, I will not sign it. I’m looking forward to this visit! Please come on out and see me.